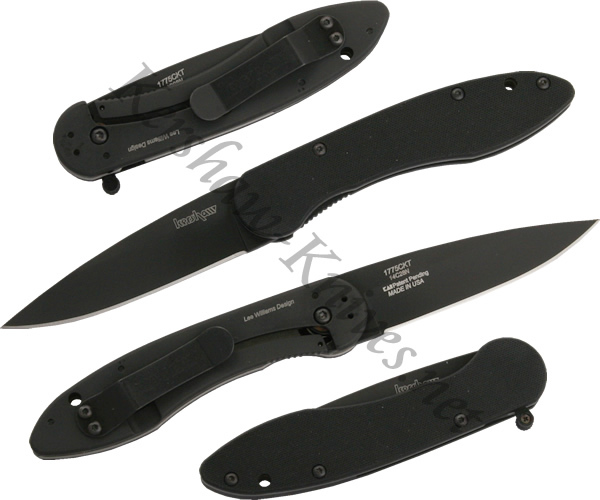 The Kershaw OD-1 model 1775CKT is completely blacked out. The dual sided handle has G10 on one side and 410 stainless steel on the other side. The blade is made of 14C28N and is totally blacked out as well. The frame lock inside the handle holds and releases the blade. The Kershaw OD-1 is Made In The USA.